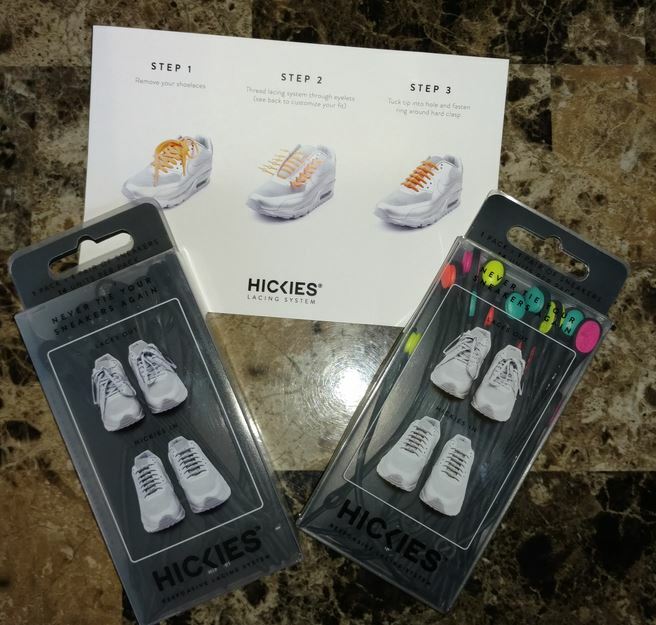 HICKIES, Inc. Review by Kim Fiscus | Save 20% on HICKIES lacing system! Parenting Hack I Love! North Carolina Events, Coupons, Reviews! The travel, parenting and fitness hack that you never knew you needed, until now. Turn any pair of shoes into custom-fitted slip-ons with HICKIES lacing system. It’s the perfect gift for any age from kids to adults. Have a kid who doesn’t care if their shoes are untied? Do you need to get your sneakers on fast and hate taking the time to tie them? One size fits all! We received two pairs below. One was all black and one had awesome neon colors. 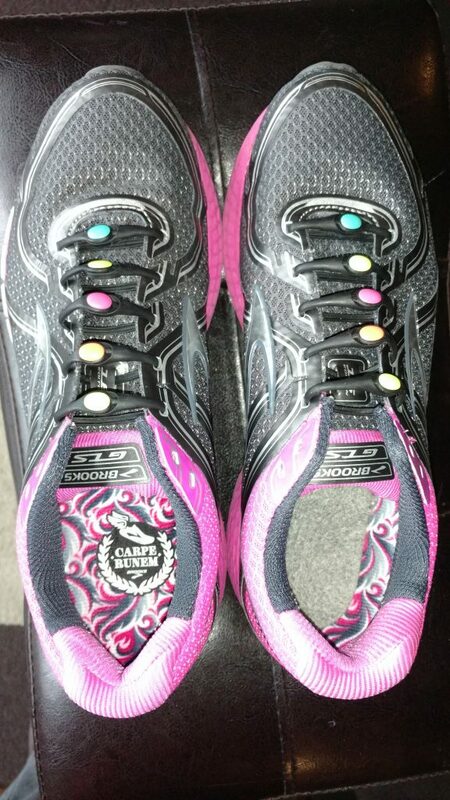 My son took the black ones and we put them on these shoes. I took the neon ones and tried them myself. At first we both felt like they were tight. 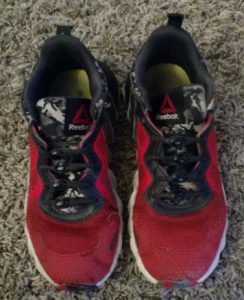 After the first day of wearing them, my son said he felt like his shoes were really tight and hurting him. I actually felt the same way and was surprised that he felt the same way without any prompting. I told him that we’d keep on trying them and see if it got any better. We just finished our third day of wearing them and we both feel fine now. It just took a few days for them to stretch to where we needed them so they were not tight anymore. They really help speed up each morning of getting 3 kids and an infant out of the house. We usually end up waiting for my son to finish “trying” to tie his shoes which then leads to either myself or my daughters tying his shoes for him. Now, he can do it all by himself and we aren’t late for the bus! I highly recommend HICKIES and will have to get some more for my other children.